للمسافرين الذين يرغبون أن يعيشو كل ما تقدمه ملبورن, Clarion Suites Gateway Hotel هو الخيار الأمثل. يسهل الوصول إلى هذا الفندق ذو 4 نجوم من المطار، فهو يبعد عنه مسافة 25. Km فقط. كما يمكن الوصول بسهولة إلى Enterprise Park, باتمان, Consulate General of Egypt. 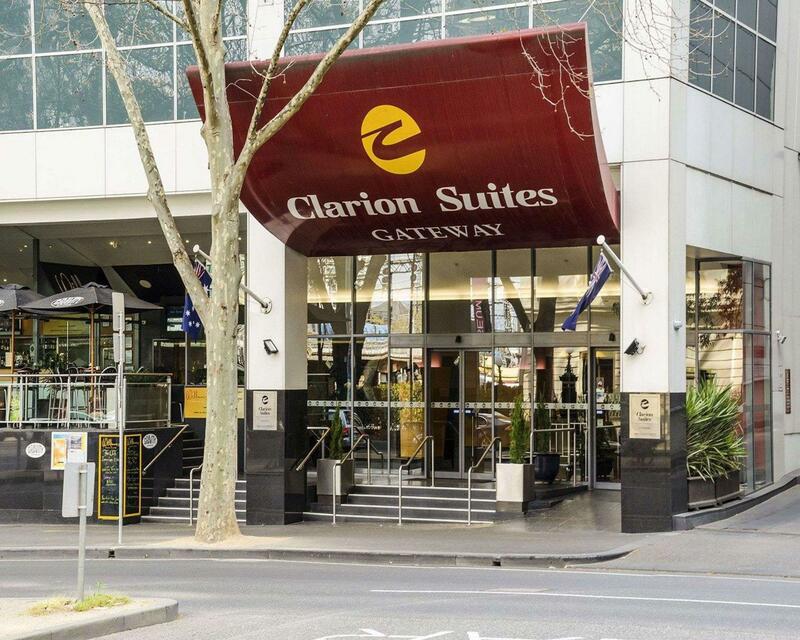 إن حسن الضيافة والخدمات الراقية التي تعرف بها Choice Hotels تغني تجربتك في Clarion Suites Gateway Hotel. لضمان راحة ضيوفه، يقدم الفندق الخدمات التالية: خدمة الغرف على مدار الساعة, متجر, تسجيل وصول/خروج سريع, تخزين الأمتعة, واي فاي في المناطق العامة . ادخل إلى واحدة من الغرف 122 وتخلص من عناء نهار طويل بمساعدة مجموعة كبيرة من الخدمات كمثل تلفزيون بشاشة مسطحة, غرفة معيشة منفصلة, اتصال لاسلكي بالإنترنت, غرف لغير المدخنين, مكيف هواء الموجودة في بعض الغرف. سواء كنت من محبي الرياضة أو كنت تتطلع لتفريغ عناء نهار صعب، ستجد خدمات ذات مستوى عالي بانتظارك كمثل حمام سباحة داخلي. إن كنت تتطلع إلى إقامة مريحة وهادئة في ملبورن، فستجد في Clarion Suites Gateway Hotel بيتك الثاني. أجر إضافي يتراوح بين1% و 3% سينطبق عند استخدام بطاقة إئتمانية. لمزيد من التفاصيل برجاء التواصل مع العقار. يرجى العلم أنه في العطلات الأسبوعية، يوفر الفندق خدمات تنظيف محدودة تقتصر على استبدال المناشف ومرافق الغرفة وتجميع القمامة. المطعم مغلق للغداء والعشاء. يُرجى ملاحظة أن رسوم انتظار السيارات في عشية رأس السنة تبلغ 50 دولارًا أستراليًا بمعدل سيارة واحدة فقط لكل عملية حجز. ويجب حجز هذه الخدمة مسبقًا ودفع ثمنها مقدمًا قبل الوصول. يرجى العلم أن الفندق يقدم خدمة تنظيف محدودة، على سبيل المثال: مناشف بديلة، مرافق وتجميع النفايات في العطلات الأسبوعية. Loved our stay at the Clarion Gateway Suites. We had guests from the UK stay with us and the view from the river room was simply magical. The rooms are spacious, modern and clean. The location is fabulous for anyone staying Melbourne as it is within the free tram zone. Great staff and great coffee in the restaurant!! The hotel location is good, just beside the river and convenient to walk to main street. The room is very big, kitchen is well facilitated and has washing/dry machine. Reception is always welcome and nice, helpful even we have late check-in. Recommend to stay! My partner and I enjoyed the stay at Clarion Suites. The price could have been lower but it was a busy time of year so I guess that's normal and there was a puzzle piece on the floor under the bed from a previous customer so the cleaning could improve, but otherwise it was an enjoyable stay. It's my first time staying at the Clarion and it's a nice surprise. The room itself is just what I would consider as typical Australian hotel room, no frills, practical and rudimentary finishing. Something about these Aussie hotels, they don't thrill you that much. Having said that, the location is fantastic, it's a 5 min walk across to the Southbank and of course, that's where you find some really good restaurants and pubs. The hotel's price also reflects this but I think it's great value. Great stay overall. Just one small improvement: There is not enough attention paid to help with bags when checking in and out. They do have a bell service, but it is not always visible or present. I was on business so had three large bags and would have liked someone to notice that and bring the baggage trolley to where they were off loaded by the curb. Other than that, the hotel was excellent. I would highly recommend it. We were disturbed by another guest next door being really loud and looking over our balcony into our room from 4am. Contacted reception 3 times I think they phoned the room of disturbance but it didnt stop until we checked out. We were offered a free breakfast as an apology for us not getting sleep. I understand it is not the hotel's fault they had a rowdy customer but more should have been done to get them out. Our room did not look like the pictures, a very dated and tired room. Good utilities and very enough space. Good for long stay. No umbrella for rent! Better bring your own! 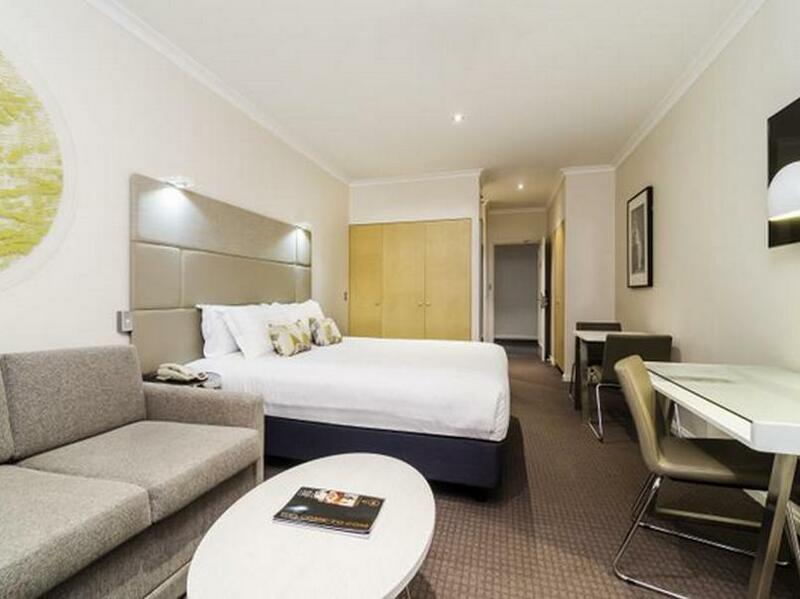 A short walk away to Flinders station, stay was normal, staff extremely helpful and nice. I’ve stayed here 2 yrs ago and went back because of their perfect location! Got the 1 bedroom suite and patio facing the river view!!! A tad noisy with the trains right in front but they don’t run all night. The sunset was a delight, glimmering off the buildings and the yarra river. And sunrise was nice popping thru the reflective buildings. Very convenient location for trams, your bus tour pick ups and the southern transportation center only 2 blocks away. Did not bother renting a car, this city is an easy walk!! Just took sky bus to the central location and walked 2 blocks. There is also a free city bus! I don’t agree with their WiFi access of only 30 minutes a day or they charge you for more time! They didn’t tell you to just go on your patio or right outside to get free Victoria WiFi!!! Pro's: Not too far to walk to everything in the cbd and casino. Friendly helpful staff. Clean room. Cons: View was of the office block next door and courtyard (well it is in the city) Didn't have time to go to the bar and restaurant so can't comment on them. I was very happy with my stay. The location of the hotel was ideal for my reason staying in Melbourne - it was a short distance to the Convention Centre. The café within the hotel was reasonably priced and provided options - buffet or a la carte. The room was exactly as described. It was clean and had everything I required. Although the rail lines were outside my balcony, it did not disrupt my sleep whatsoever. The tram station was a very short walk to enable me to get around the City which was very helpful. The staff were most helpful and extremely polite. I would choose to stay here when visiting Melbourne again. Well located. Extremely clean, well appointed apartment with river views. Short tram trip to MCG. Short tram trip to Etihad Stadium. Opposite Crown Casino, so good restaurants close by. Hotel restaurant had small Menu, but good and affordable, with quality food. Drink service good. I liked the closed door to outside smokers area, which didn't interfere with you being inside and having unpleasant smoke from smokers in close vicinity. Convenience of newspapers and small but quiet sitting area in foyer. Great, affordable accommodation to stay. Fantastic location. 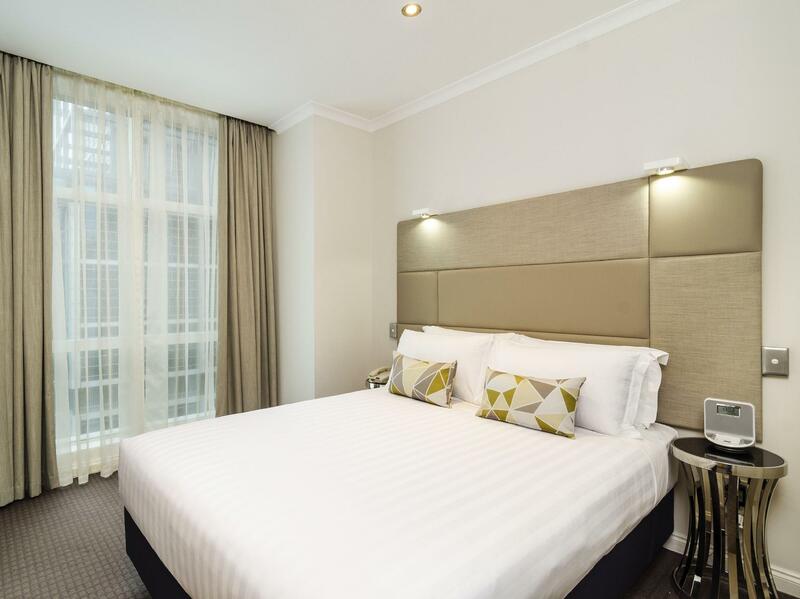 Walking distance to shops, restaurants and crown casino. spacious rooms with a full kitchen. Was happy to see a washing machine/dryer. Would be good if they had small packs of detergent. The cafe below does decent breakfast and good coffee. The air conditioning in our room needed tinkering. Changing the temperature may sometimes turn off the air con all together, so had to leave the temperature quite cold. Sofa bed wasn't the best quality, I ended up putting the mattress on the floor instead. Overall, clean and comfortable accomodation and will stay again. My husband and I booked the Clarion Suites for our 30th wedding Anniversary. We were upgraded to a river view room, and were surprised with a complimentary bottle of Champagne left in our room. 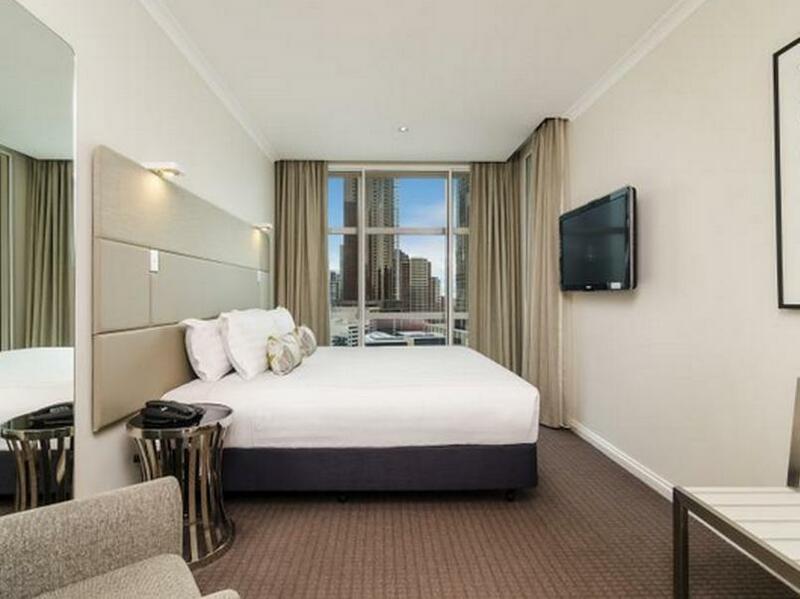 Hotel is close to Southbank, South wharf, Docklands, and the Casino! The included continental breakfast was good. The only thing that wasn't great, we were woken up by noise from other guests, and children, so soundproofing wasn't great! Fantastic stay as always. Location is superb for our visit to Melbourne - close to Etihad Stadium, Crown and Southbank Entertainment areas. Easy to drive to and parking convenient. Had not stayed for some time but was as welcoming and comfortable as we remembered. Pleasant stay, clean beds, hot shower, nice view of Casino. Particularly enjoyed that they provided parking and a swimming pool. Breakfast downstairs was of a high quality, fresh fruit, lots of variety and good coffee. Great location, excellent value for money! The room was spacious, clean and modern. Great views from our room and even though we faced Flinders street, we could not hear a sound. We stayed for our honeymoon night for 2 nights, and was surprised with a complementary bottle of champagne and fresh cookies. The separate basin to the bathroom was also a great idea. The location of this hotel is fantastic! Walking distance to everything. Public transport at the door and a short stroll to Crown Entertainment complex. We would definitely stay there again without hesitation. Fantastic value for money! Even the room service menu was very reasonably priced! while the hotel was a little dated it represented very good value. 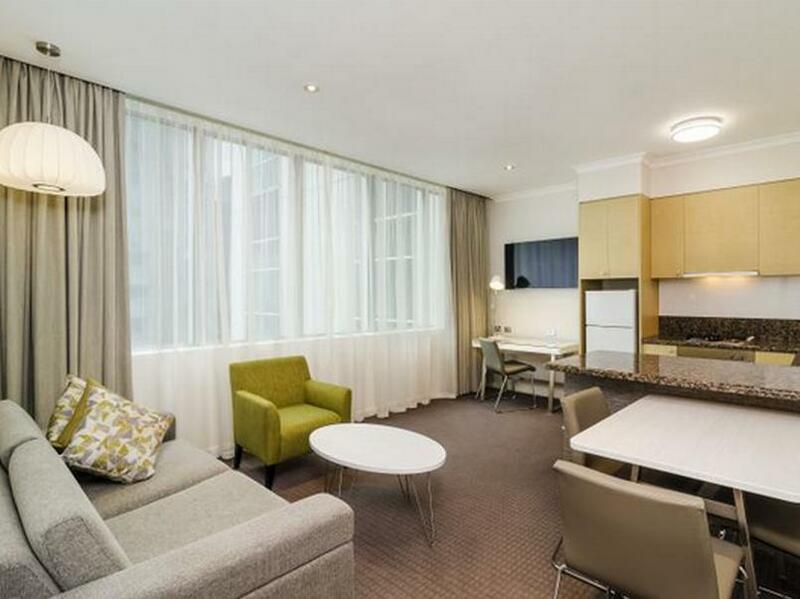 located directly opposite crown casino and southbank it offers easy walking distance to all cbd and nearby amenities. transport (train and tram) easily accessible as is shopping and many restaurants. the room contained microwave and kettle and their was a pool on the property. We got a free upgrade to a 1 bedroom suite from a studio room so that was good. The hotel was clean, bathroom was clean and the suite was superb with all the facilities that you need like ironing board, kitchen, stove and utensils. The hotel staff were excellent, it was quick to check in and to check out. 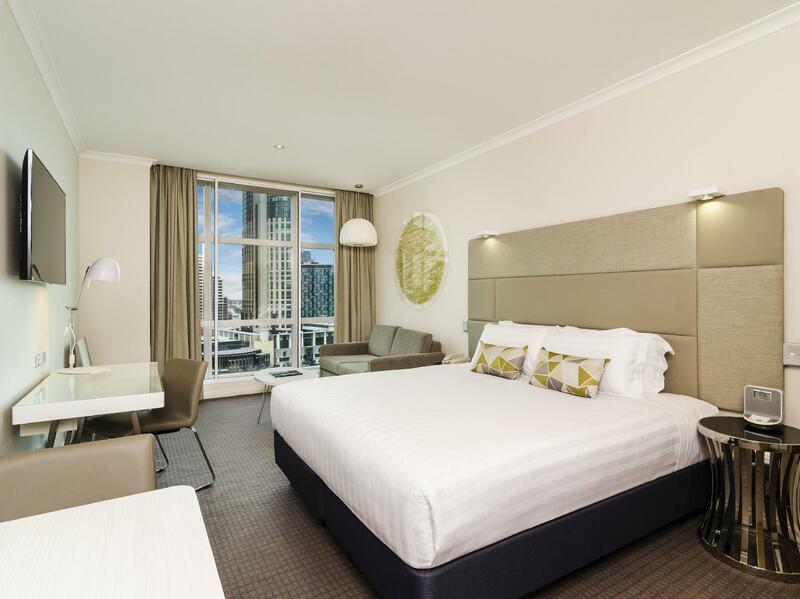 In general this is an excellent hotel to stay in if you want to explore Melbourne.